This article explores how Emily Brontë, in Wuthering Heights, uses the discourse of race and slavery, or emancipation from slavery, to further a political project of freeing the underprivileged, Heathcliff, the excluded, demonised, and homeless slave, from the grip of the rich. He tries all the time to reconstruct his own position and the social ranks as a whole, to identify his own social position within a class hierarchy. Heathcliff begins his life at the very bottom of this hierarchy but he concludes it with a great shift, situating himself at the top of it. It reveals how an outsider, a faceless, homeless, placeless, and accursed slave of a goblin is excluded as someone who has no social or biological place in the existing social structure, and which makes him determined to carve his own place as equal, and renders himself free in a world of exploitation and inequality. This study explains that Wuthering Heights is among the nineteenth-century novels that contributed to a shift of cultural authority in Britain from the upper to the middle class, even to lower-middle-class. It focuses on how Catherine's authoritative white and middle-class subject is defeated by the lower-class Heathcliff. Heathcliff becomes a capitalist himself, an expropriator, thereby turning the ruling class's weapons of property accumulation and acquisitive marriage against them, by turning them into a yeoman class, as represented, for example, by Hareton. Indeed Heathcliff has succeeded in his attempts, all the time, to break down a cultural myth, the superiority of the white, and build from it a whole new construct of new relationships which he sees more racially fair and fit. 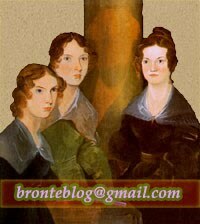 In Wuthering Heights, Emily Brontë portrays the love story between Catherine and Heathcliff whose sincere love is killed for their different social status and only prevails beyond the real world. The roles of symbols in revealing this theme will be traced in this article. In Wuthering Heights, Heathcliff is a main and controversial figure. Different critics comment on him from many different aspects. Nevertheless, this thesis focuses on the inhumanity of Heathcliff. Through a detailed analysis of the process and the cruel way of Heathcliff’s revenge which bring serious sufferings to the two big families of the Earnshaws and the Lintons and their descendants, readers will come to understand that Heathcliff is a man without humanity. Readers will also realize that Heath?cliff is as savage as a ghost. Moreover, Heathcliff symbolizes a Hell; wherever he goes, there is darkness and unhappiness because of his inhumanity.